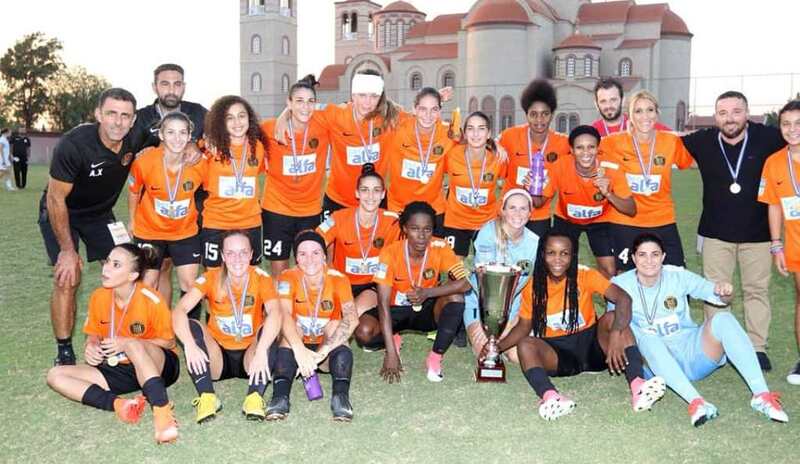 Barcelona FA’s captain Rita Akaffou and her teammates keep making history, after winning the first ever Cyprus league title in April, the champions affirm themselves again with the Cup that they lifted last Sunday, also for the first-ever time. All the four players featured in the final Cup’s game in which they played 90 minutes against Apollon Limassol. With a 1-0 victory, they overthrow Apollon Limassol who were the holder with seven successive Cup titles. LTA Agency congratulate Rita, Rebecca, Fatou, and Ngozi and wish them good luck for the new season 2018/19.